Want a Killer Site Like This For FREE? Our Team Members Get One FREE! For More Traffic, More Engagement, and Better Results. We can create your very own website/blog (like this one) and help you every step of the way. Learn how to do it the “right” way. You’ll be able to easily add content and make changes. Plus! Every week you will receive new content to help you build your online presence to attract more customers. Join our team today. Our team consists of moms, dads, doctors, lawyers, teachers, and many more. Whether you just want a 25% discount on products or you want to build a sustainable health and fitness home business then your in the right place. Beachbody is the premier home business offering your own website, shopping cart, training, and promotional tools to reach your goals. What sets our team apart from all others is the online digital skills that we teach you along the way. We provide our team members with unprecedented tools and training to help you brand and market yourself. Yes, I Want to Become A Coach! READ THROUGH THE FAQ’s and IF YOU DON’T GET YOUR QUESTIONS ANSWERED AND WOULD LIKE TO SPEAK WITH ME DIRECTLY ABOUT THE BEACHBODY BUSINESS THEN ADD ME ON FACEBOOK AND INSTANT MESSAGE ME.. THAT IS THE BEST WAY FOR US TO CONNECT. OR SCHEDULE A CALL TIME DURING MY BUSINESS HOURS. OR SUBMIT THE INFORMATION REQUEST FORM BELOW. ♦ How does this work? Answer: You’ll have access to completely free step-by-step video instructions that will walk you through the setup process every step of the way. ♦ I’m not very smart, what if I get stuck and need help? Answer: No worries! We’re here to help. You can ask us questions, and we’ll even perform the setup process for you if you need us to. ♦ Do I need to have any programming skills? Answer: Not at all. You’ll be setting up your website on a self-hosted WordPress platform (this is the best option and will give you the best results). It’s extremely user friendly. ♦ Why is this FREE…What’s the catch? Answer: Our training and assistance is FREE. You will have to pay for your hosting account and a domain name. You pay directly to a third party, not us. And don’t worry, it’s super affordable and well worth the cost. Hosting is about $30.00 a month (your first month is free) and your domain is less than $15.00 for your first year (ask for your discount code). We will walk you through the entire hosting setup process and platform installation. ♦ How Much Does it Cost to Become a Beachbody Coach? Answer: Between $39 – $285 depending on which Challenge Pack you chose. Challenge packs are between $140 -$285. We recommend choosing either the Club and Shakeology® Challenge Pack or the Club Performance Challenge Pack. Both are only $140 and include a 90-Day Membership in the Team Beachbody Club, so you can start streaming thousands of dollars in proven Beachbody workouts and more. The start up fee ($39.95) to become a Beachbody Coach is waived for anyone that purchases a Challenge Pack during the Coach Sign Up process. Sign up with the Challenge Pack option because it’s putting $40 towards your health rather than to the sign up fee. Then the following months you will be charged the $15.95 coaching fee. ♦ What are the recurring monthly costs to Join? Answer: There is a $15.95 fee (except for active duty, veterans, and non-profits) for your Beachbody websites and back office. We recommend everyone on our team take either Shakeology monthly for around $99 or Beachbody Performance Stack monthly for around $87 (neither required) and $2.99 weekly for Beachbody On Demand which is billed quarterly. In addition to your back office website, the 2 sites listed above are what the $15.95/month fee pays for. The enrollment fee is waived when you order a Challenge Pack so it ends up being the exact same price. Get signed up here and select your Challenge Pack during the Coach sign up process. You get a 25% discount on your next order of Shakeology or Beachbody Performance. And remember you can also earn money by referring others, so if you were to refer 3 other Shakeology customers or Beachbody Performance Pack customers, the commissions you would make from the sales would be enough to pay for your own Shakeology, Performance Pack and monthly business service fees. ♦ Do I have to be a Fitness Expert? Answer: You do not have to be a personal trainer or fitness expert to be a Beachbody Coach. We guide people to our expert trainer programs and help them with support and accountability. ♦ Do I need experience? Can I start part time? Answer: No and Yes. You do not need experience. Many people on our team have never had home business experience. Yes, you can start slow. Many people start off working 3-10 per week on their business. You can walk, jog, or run.. Its your business. But you’re not doing it alone. You will get access to our private Facebook Team group of over 1000 Coaches (and growing daily!). This group is a valuable resource, it’s a great place to connect with other Coaches, ask questions, and find valuable ideas, tips, and resources to help you grow your business. We all have vested interest in seeing YOU succeed, so we do everything we can to help you grow your business. ♦ What if I am not a salesmen? Answer: That is a good thing.. Our team is not pushy. We simply love these products because of our results and we recommend them. As for the business, we found a better way. We simply share that better way. ♦ How much money can I make? Answer: That is up to you. You get 25% on all customer orders. You get overrides on team volume. You get bonuses for helping others build their business. So the more customers you have the more money you make. The more team members you help the more money you make. You can walk, jog, or sprint with this business. ♦ Is this a scam or pyramid scheme? Answer: In short, NO! Beachbody is a network marketing company that rewards others for sharing their products. Although many scams and schemes use multi-level pay plans to trick people, there is never a real product and only the top people get paid from the money coming in from the new members. ♦ Is this business open all over the world? Answer: Currently Beachbody is open in the U.S. and Canada. They are working hard to open in other countries. ♦ What if I don’t have enough time? Answer: Other than becoming a Coach just to get the 25% discount off your products, my recommendation is this – If you don’t have 5 hours per week to work on your new business don’t join. If you can muster up at least 5 hours then you can start part time and work your way to a full time Beachbody coach. ♦ But I am not a fitness coach? How do I become one? Answer: You don’t have to be. Let the trainers be the fitness coaches. Let our team be the home business experts. 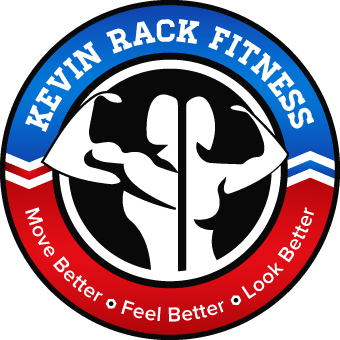 If however, you are a personal trainer or wellness coach, this is an ideal way to leverage your time to expand your market by reaching more customers both locally and virtually. In addition, personal trainers and coaches can, if they want to, become certified to teach many of the popular fitness programs. ♦ How can I learn more about becoming a coach? Answer: Beachbody coaches have multiple income streams to help them achieve greater financial security. Submit this form to learn about all the ways you make money with Team Beachbody. After you submit this form you will be redirected to a presentation about all the ways you can make money with Team Beachbody and the tools and support that will be available to you after you join my team.